1. Which one of the following idioms/sayings best describes cartoonist Rick McKee’s meaning in the first cartoon? 2. a) Which cartoon (#2 or #3) has a similar theme to the first cartoon? 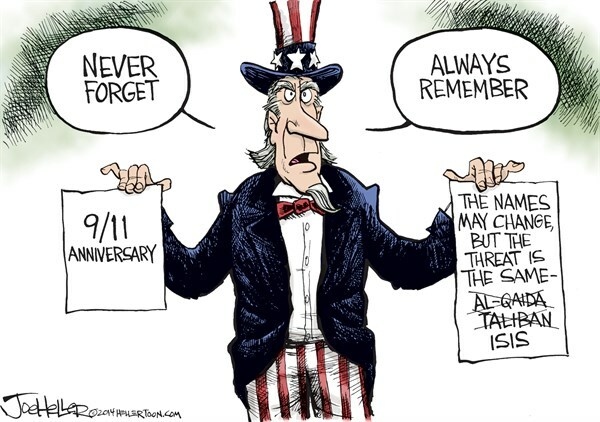 b) Do you agree with the cartoonists’ assertion? Explain your answer. If you’re barking up the wrong tree, you’re looking for something in the wrong place or going about something in the wrong way; means you are on the wrong track; you are making a fuss at the wrong person or over the wrong thing. The idiom implies taking action in a direction that is completely wrong to achieve a goal. This does not refer to vigilance of potential outside enemies of the country, rather vigilance of our own elected leaders. In dictatorships, the public has no right to speak out, and no right to monitor the leader(s). In a free society it is our duty to always be vigilant of our state and condition. We must not sit idly by. We must be active participants in the society that we live. To do something pointless or insignificant that will soon be overtaken by events, or that contributes nothing to the solution of a current problem; making well-meaning but negligible adjustments to an endeavor that is doomed to fail. 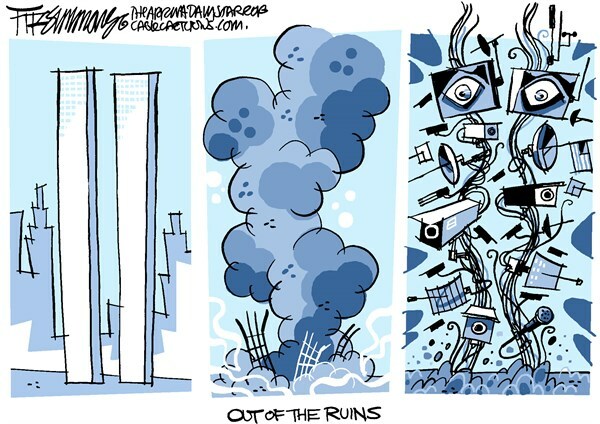 2. a) The third cartoon has a similar theme — after 9/11 the government’s surveillance strategies have gone way overboard. 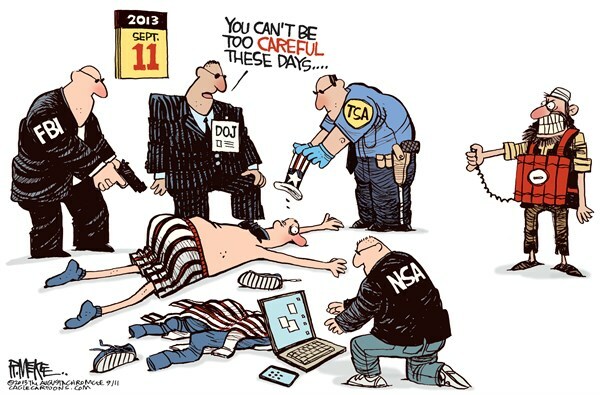 They are violating innocent citizens’ privacy; their tactics are invasive.